London, 21 March (Argus) — Oil product stocks held in independent storage tanks in the Amsterdam-Rotterdam-Antwerp (ARA) trading hub rose in the week to 21 March, as higher gasoil and jet fuel stocks offset declines in other products. Gasoil inventories hit 21-week highs following arrivals from India, Russia and the US, data from consultancy PJK showed. The Primorsk diesel-loading schedule for March has been robust. And while some inland Rhine demand emerged, mild European temperatures are generally curbing heating oil requirements, whilst seasonal demand from the agricultural sector has yet to materialise. Gasoil was exported from the ARA region to the UK during the week. Jet fuel stocks rose following the arrival of the Golden Shiner, carrying product from the Mideast Gulf. Viable arbitrage economics has brought jet fuel into Europe from the east of Suez and the US this month. Imports are set to slow in the coming weeks. At least 1.3mn t has been booked on this route so far for April, but most arrivals are scheduled for the second half of the month. The market appears to be prepared for lower import levels, however, with stocks currently at 26-week highs. Contango in underlying Ice gasoil futures over the past week, and in the swaps structure for most of the year, has encouraged firms to put jet fuel into tanks. 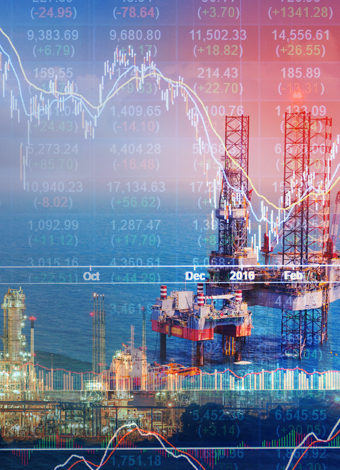 Fuel oil inventories fell to one-year lows, as a backwardated swaps structure ahead of the International Maritime Organisation’s (IMO) 2020 sulphur cap has supported selling interest and drained tanks in recent months. Fresh export demand to the US also weighed on inventories across the whole of Europe, as the fuel oil market tightened in the US ahead of sanctions against Venezuela — the largest fuel oil supplier of the US. The Shell-chartered Maran Canopus is currently loading in Rotterdam to take cracked fuel oil to Singapore. Fuel oil arrived into the ARA trading hub from France, Russia and the UK during the week, and was exported to Suez for orders. An uptick in demand from west Africa is helping clear stocks of European gasoline. Inventories in west Africa’s largest demand hub, Nigeria, have fallen by around 20pc since the presidential election last month. Tankers loaded with product were provisionally booked with west African discharge options between 9-15 March, shipping reports show, the highest weekly tally since October last year. Viable arbitrage economics to send gasoline to the US from northwest Europe led to some cargo loadings from the ARA region in the past week. But these were lower than expected, as many fixtures booked on this route will load towards the end of the month. Naphtha arrived into the trading hub from Estonia, France, Russia, the UK and the US during the week. A cargo exported ARA naphtha to Brazil. Buying interest from the gasoline blending sectors in northwest Europe kept Rhine demand steady.